Accelerating Sustainable Energy development through smarter, faster financing. Everest Energy shared its exciting new approach to increase the use of Renewable Energy in developing countries with global leaders at the Sustainable Energy for All Forum. The theme of the Forum was “Going Further, Faster – Together” and it was structured as a marketplace of ideas to broker new partnerships, spur investment and drive action towards sustainable energy and realizing Sustainable Development Goal 7. With its new financing tools and its recently launched partnership in East Africa, Everest Energy has a role to play. Cross-border payments in East Africa comprise a significant and growing part of regional GDP. Agriculture related cross-border transactions alone surpass 60 million transactions and USD 900 million in the region annually. USAID estimates that 95% these transactions are made through the physical exchange of cash. The total size of the informal payments sector in the region remains unknown. However, the types of solutions available for cross-border transactions are becoming more varied. Person to Person (P2P) remittances through digital financial services already account for USD 1.3 billion per year within East Africa. 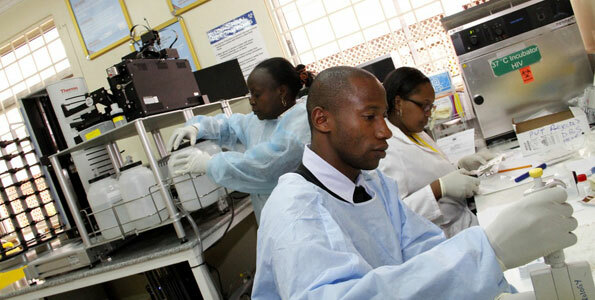 The development objective of the East Africa Public Health Laboratory Networking Project for Africa is to establish a network of efficient, high quality, accessible public health laboratories for the diagnosis and surveillance of tuberculosis and other communicable diseases.